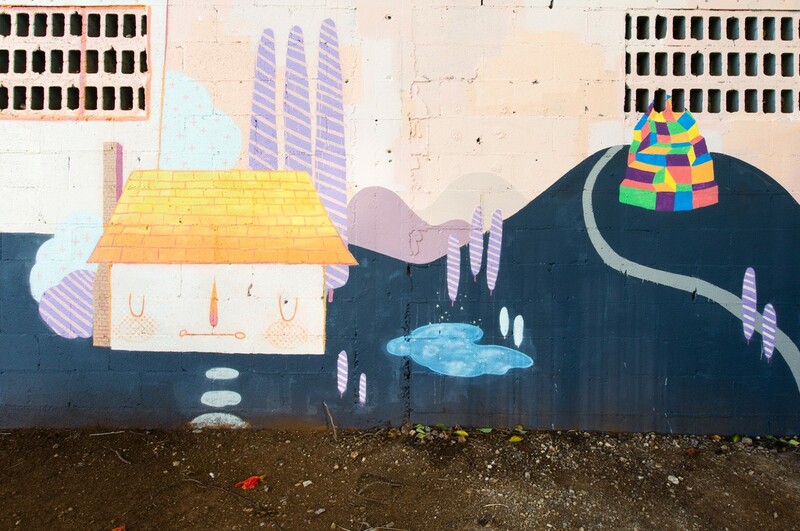 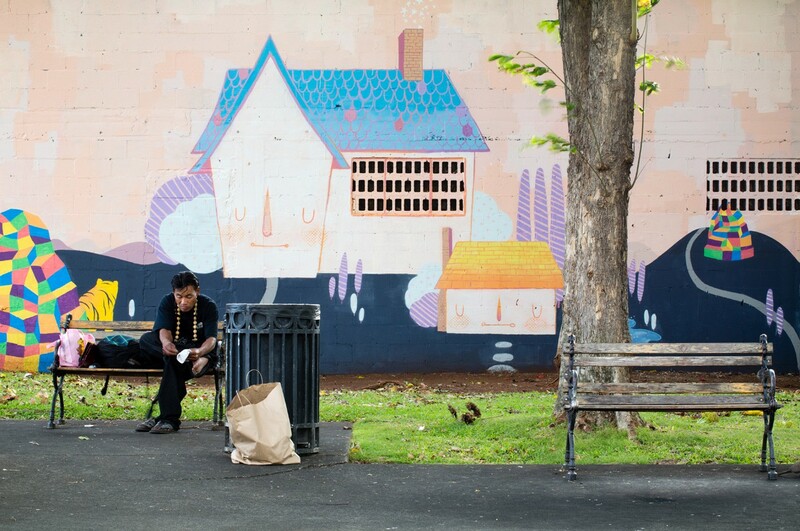 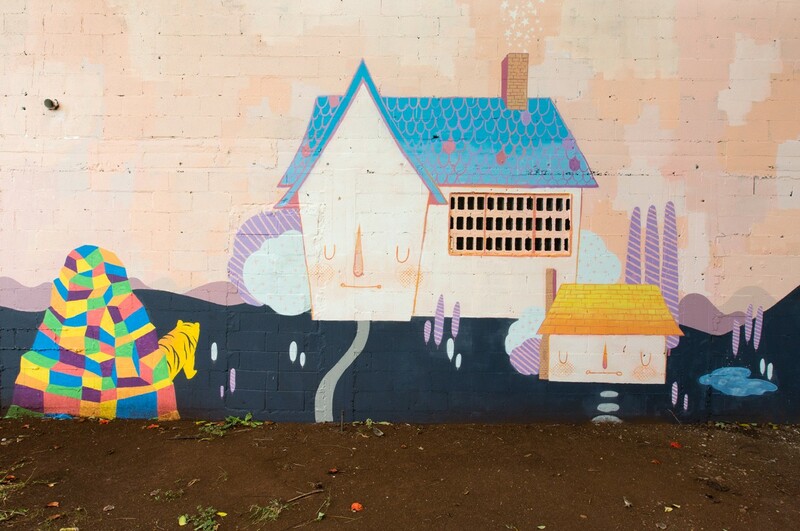 The dynamic group of Jeff Hamada, Yoskay Yamamoto, Wu Yue and Andrea Wan decided to paint homes for the homeless. 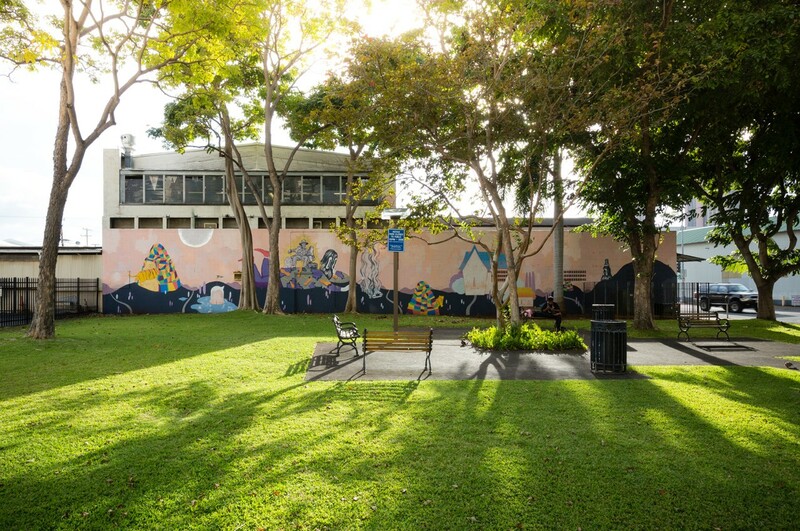 Literally adding a bit of color to a mundane park popular with the homeless population in Kaka’ako. 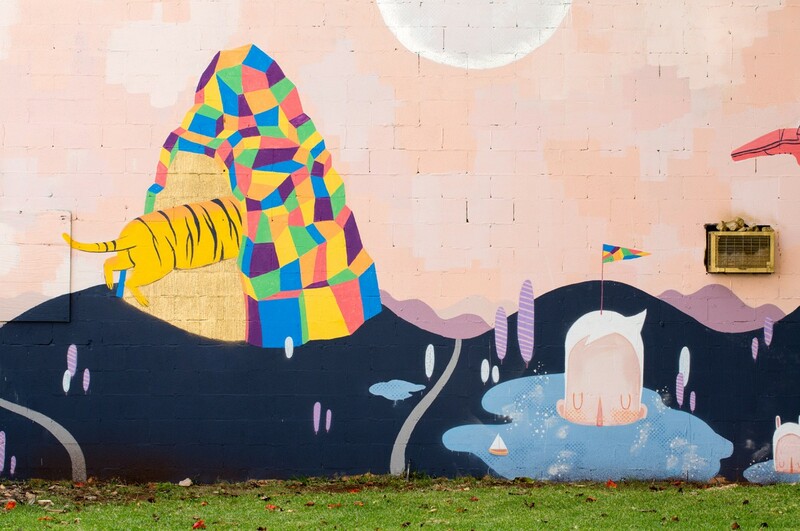 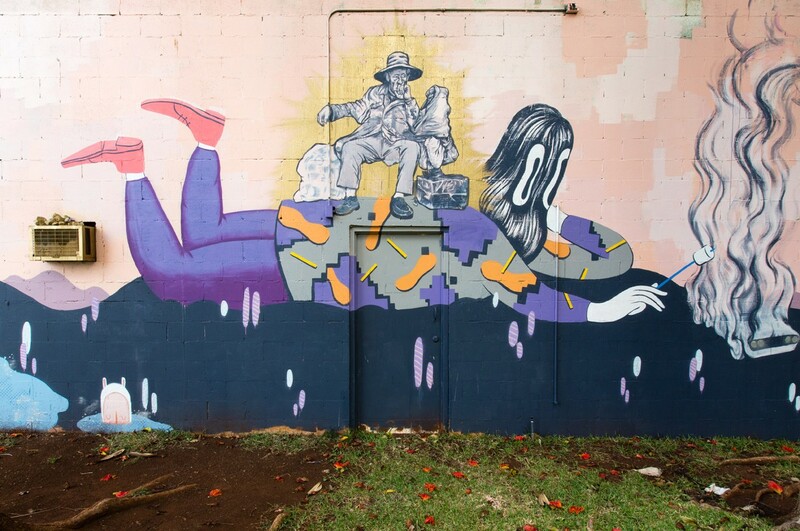 The mural is located on Cooke and Kawaiahao street.